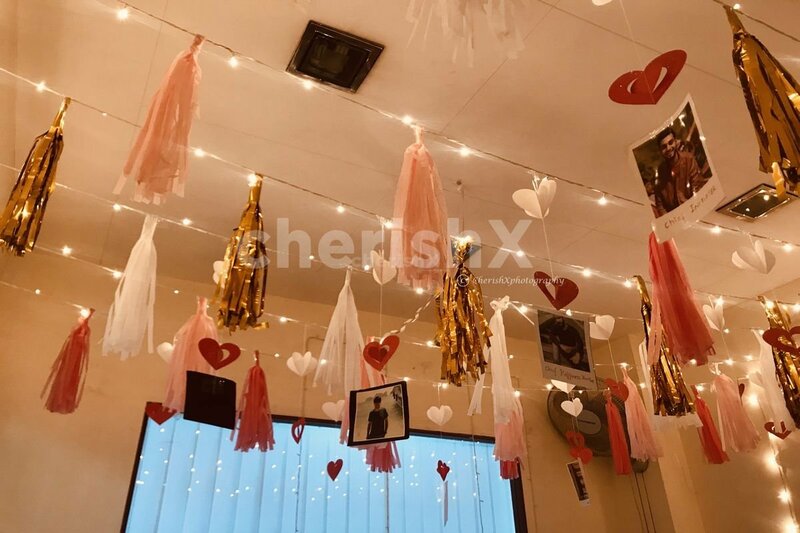 Amazing and romantic decoration at home. 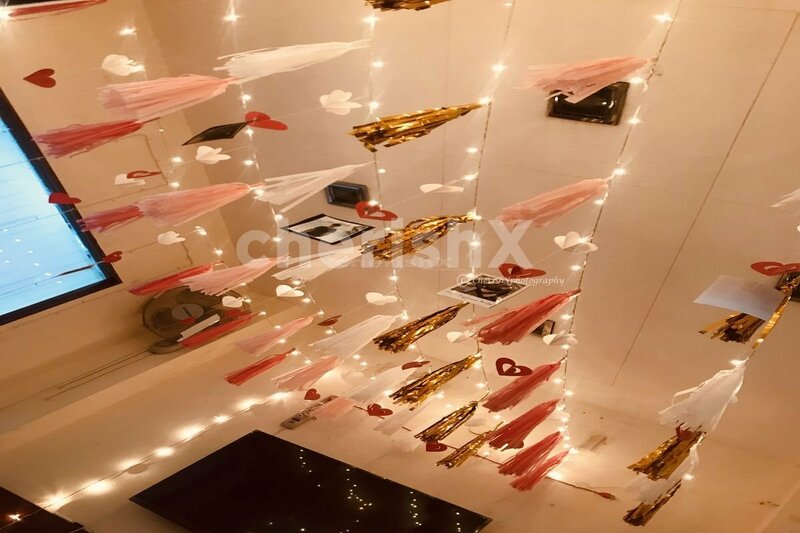 Oh-so-cute and oh-so-chic, this addition to romantic home décor is sure to dazzle when hung in your home! 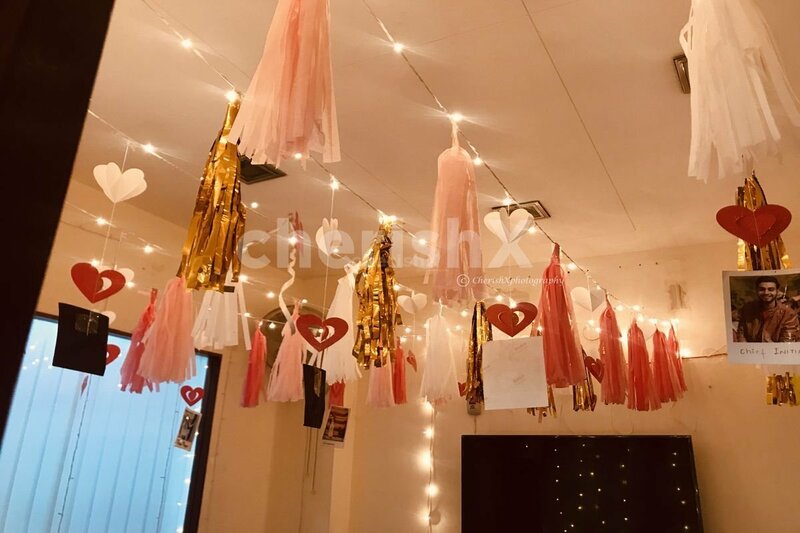 Consisting of vibrant tasseles in white, pink & glitzy gold, red heart cutouts, fairy lights & your memorable clicks in between will fill the heart of your partner with love the moment they see the room all beautified just for them. It's all about dressing the home up in subtle ways. Lucky for you, we've got the perfect accent just for this! 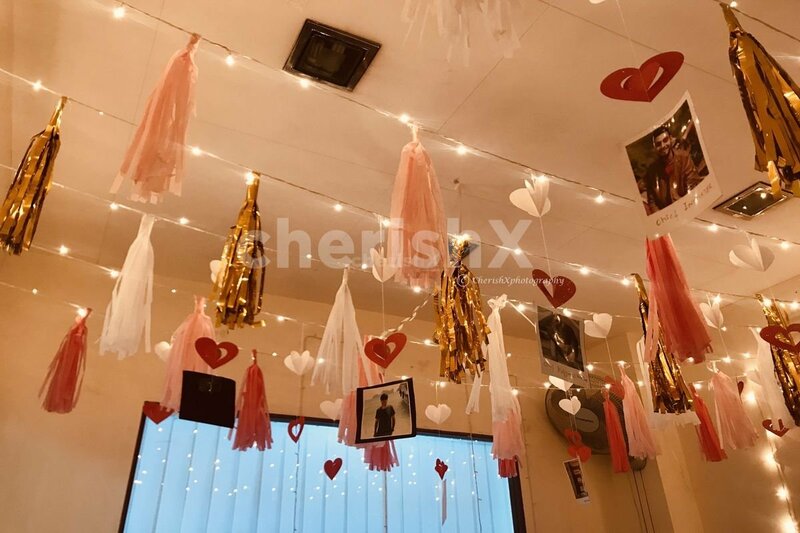 A great addition to home décor- colourful tasseles, resplendent red double cut-out heart strings, LED lightings for the shimmer & memory strings of your pictures in between… when teamed together, gives a look that really wows beloved on the Cupid’s favourite day. 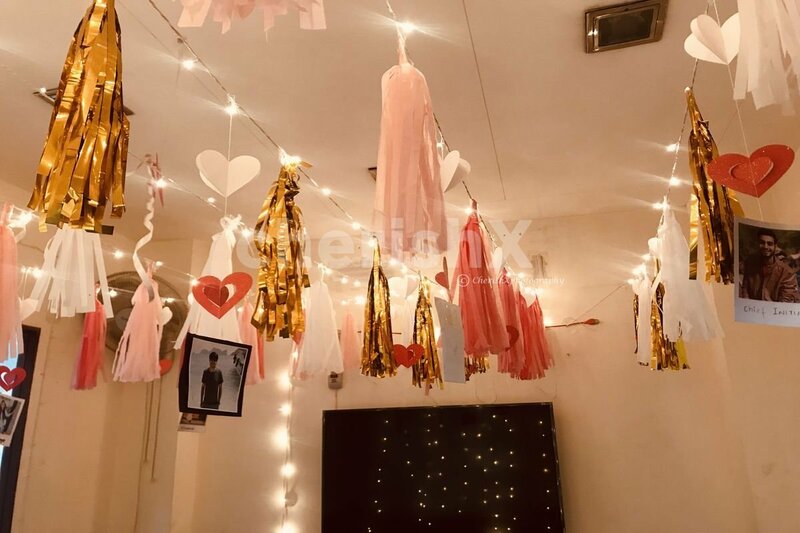 Ornament your celebration by throwing in a splendid, love-filled surprise for your partner that will leave them awe-struck. 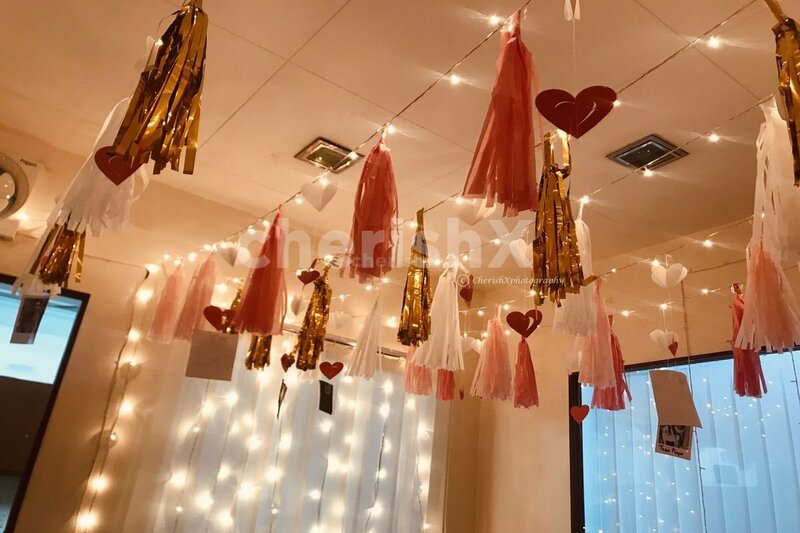 The decorations consists of 36 tasseles, 3 LED lights, 12 of your favourite pictures & heartstring decoratives.